If you want to ROCK your first project, there are three project management techniques you need to perform that will ensure your project gets off to a strong start. If you start your project right, you significantly increase the odds of it being successful. On the other hand, if you don’t use these techniques when you start your project, it may be impossible for your project to be successful regardless of anything else you do later in the project. More than anything else, a strong start for your project can mean the difference between success and failure. The reason the start of your project is so critical is because the decisions you make at this stage impact everything else that happens afterwards on your project. Unfortunately, many inexperienced project managers jump right into their project without much thought about these key project initiation techniques. The first project management technique for rocking your project is to make sure your project is clearly defined. There are two steps you need to take to define your project. Step 1 is to understand WHY your project is needed. To understand why your project is needed you need to define the problem your project is solving. Understanding why your project is needed is THE foundational decision for your project. The way you define the problem your project is solving will drive the solution your project delivers. Step 2 is to specify WHAT your project will accomplish. This is your project's mission - the goal or objective your project will achieve. You formally define your project’s mission in the Project Mission Statement. A well-defined Project Mission Statement is important because it sets your project’s direction and scope. Performing these two steps will help you clearly define your project. As the Project Manager, this is one of the most important tasks you will need to perform at the beginning of your project. The second project management technique for rocking your project is to perform a stakeholder analysis. Every project has stakeholders that can impact a project in a positive or negative way. Understanding who your stakeholders are and proactively managing them is a critical task you need to perform as a Project Manager. Creating an effective Stakeholder Strategy is critical for the success of your project. This will be a key factor in whether your project is seen as a success or failure. 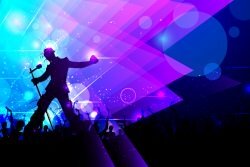 The third key project management technique for rocking your project is to define your Project Success Criteria. Traditionally, projects were considered successful if they met the project’s budget, schedule, and scope targets. These targets are known as the triple constraint. But these traditional measures of success are missing one critical factor - stakeholder perception. At the end of the day, perception is reality. You want to make sure the perception your project stakeholders have of your project is positive. You do this by finding out what is important to them. Project Success Criteria are the standards which your stakeholders will use to judge whether your project is successful or not. Defining Project Success Criteria AND ensuring your key stakeholders agree with them can exponentially increase your project’s likelihood of success. You can meet or exceed your schedule, budget and scope targets, but if a key project stakeholder was expecting something else from the project that wasn’t delivered, they won’t consider your project a success. To make sure key project stakeholders consider your project a success, you need to explicitly define what success looks like for them by using Project Success Criteria. This provides a shared vision between you and your project stakeholders of what the successful outcome of your project looks like. 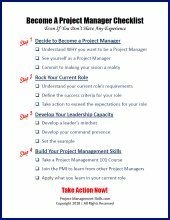 By performing these three key project management techniques at the beginning of your project you will be taking the needed actions for ROCKING your first project!